Founded in 1991, The House Jacks continue to thrill audiences worldwide, combining virtuosic vocal harmonies with infectious energy and lightning-fast, often hilarious improvisational skills - a spectacle you truly must see to believe! 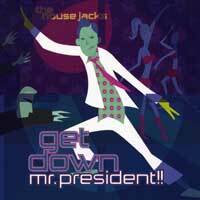 From one of the earliest practitioners of the modern a cappella sound the House Jacks have remained on the cutting edge of contemporary vocal harmony for many years. This latest release was recorded live in Europe where the group tours regularly and has built up a large and loyal following. There are 10 new original songs plus 4 covers and a new arrangement of audience favorite "Bam" on this fine release and the group rocks as always. Founding member Deke Sharon is well known in a cappella circles for his published arrangements and vocal percussionist Wes Caroll is considered to be one of the best mouth drummers around. Experiencing the Jacks live at a trendy South of Market club in San Francisco first turned us on to the power and glory of a hot group that could move and thrill an audience onstage with only mikes in their hands. 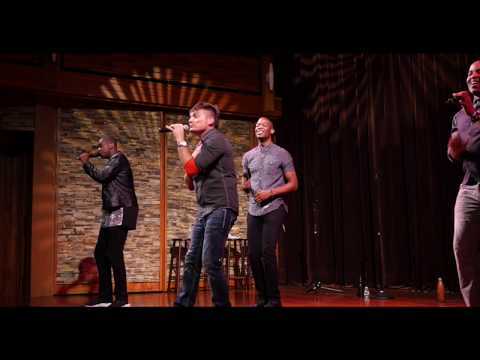 Since then the guys, Nicholas Girard, John Pointer, Elliot Michael Robinson, Deke Sharon & Austin Willacy have had big fun touring, recording, meeting and performing with other groups and always growing their fan base. The aptly named "Pollen" is a fascinating experiment that involves some of our all-time favorite groups, for example Australia's Sweeps Champs The Idea of North, England's The Swingles, and BR6 from Brazil. The Jacks wrote songs, arranged them, performed them live and "noodled with the arrangements," then recorded the songs, added some parts and sent the recordings to their guest artists and "told them to go crazy, then we added complimentary parts of our own." The only caveat: "Everything you hear is a human voice, but sometimes we mess with it." Ten amazing tunes, some of our favorites are: "Crazy," with The Idea of North; "Quiet Moon," with BR6; "This Life" with The Swingles; "Confessional," with Canada's Cadence; "As It Falls Apart" with MICappella, Singapore; "Your Love" with Maybebop, Germany; "Get What You Need" with Cluster, Italy; "Talk2Me" with Postyr Project, Denmark; "Wo Ai Ni" with Voco Novo, Taiwan and Freeman, China; and "Got What You Wanted" with Exit, Korea and Kaichiro Kitamura, Japan. Writing credits for these wonderful vocal collages go to Austin for "As it Falls Apart," "Crazy" and "Got What You Wanted;" Nicholas for "Your Love;" John for "Get What You Need," "This Life" and "Confessional;" Elliot for "Talk2Me;" and Deke for "Wo Ai Ni" and "Quiet Moon." 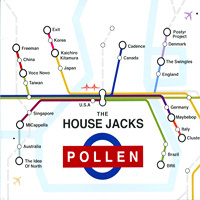 In a cappella poker five Jacks, drawing some of the best international kings, queens & aces in the deck, makes every track of "Pollen" a stone winner. You don't want to miss this one! !